Attention, New Yorkers: If climate change continues unabated, over 3,000 people in the city will die every year from heat by 2080. Do something, and maybe only about 1,500 will die. This fun news is according to a paper published online this week in Environmental Health Perspectives that analyzes the effect of future climate change on New York City. We’ve long known that climate change equals higher temperatures equals more heat death, but the new paper is notable in focusing so specifically on one area and taking into account the projected demographic shifts of New York. The authors used data from 33 global climate change models to create their projections. These models also included factors like migration and future population size—with a focus on the elderly population, which is most vulnerable to heat—as well as the availability of air conditioning and public cooling centers, and greenhouse gas emission trajectories. Ultimately, they came up with two scenarios. In the optimistic one, steps like reducing fossil fuels and building more public cooling centers are taken, and about 1,552 people die each year from heat death by the 2080s. In the status-quo scenario, the number of deaths more than doubles to 3,331. In contrast, there were about 600 heat-related deaths in New York City from 2000 to 2006, according to the National Center for Health Statistics. 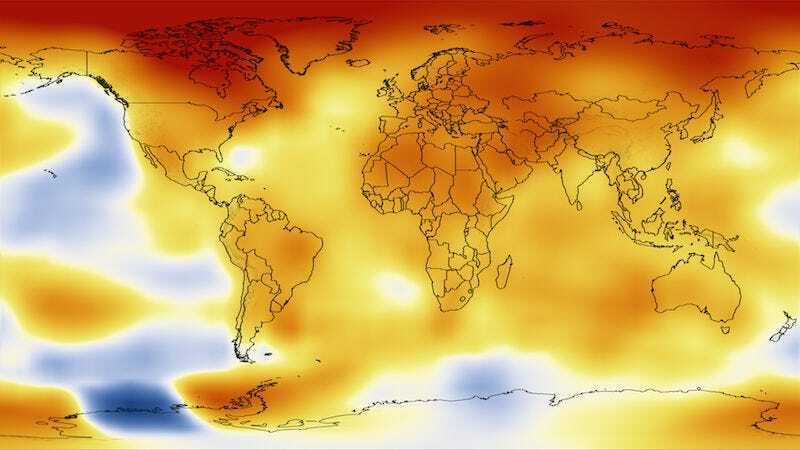 This is already the hottest the Earth has ever been and even the South Pole is warming up. The paper is about New York City specifically, but probably has similar implications for other large metropolitan areas. However, there does seem to be one remaining place that is hopeful for climate change: the wonderful forests of Eastern Canada. If things get too bad and nobody builds those cooling centers, maybe we’ll all move there?